Her doll will look stunning in tortoiseshell-colored shades! 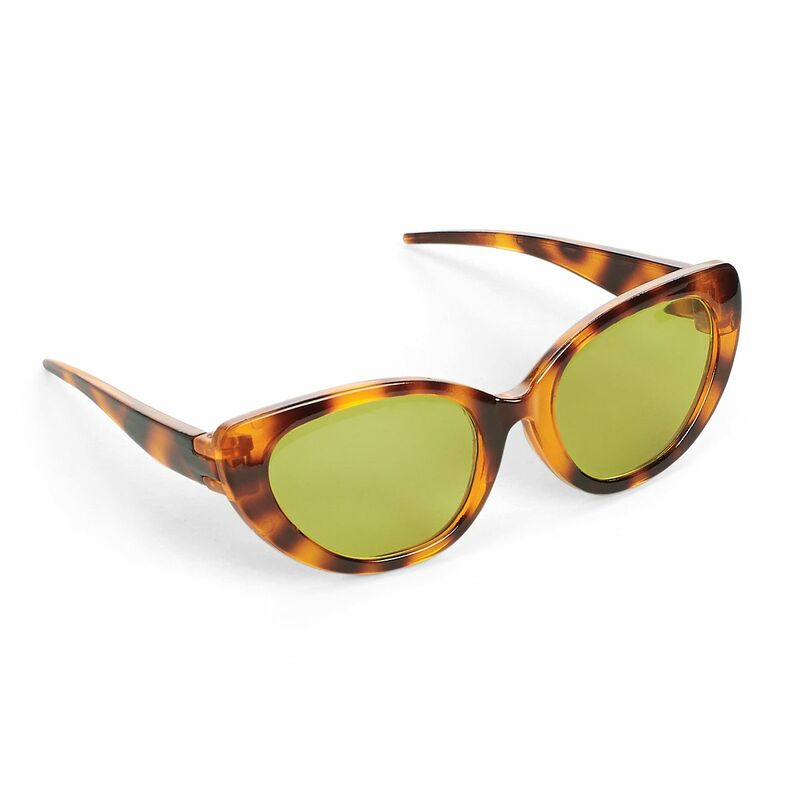 These oval sunglasses have multicolored frames with plastic lenses. Includes an embroidered case for safekeeping.